It’s US-only (for now?) but Apple is pushing its new credit card hard. 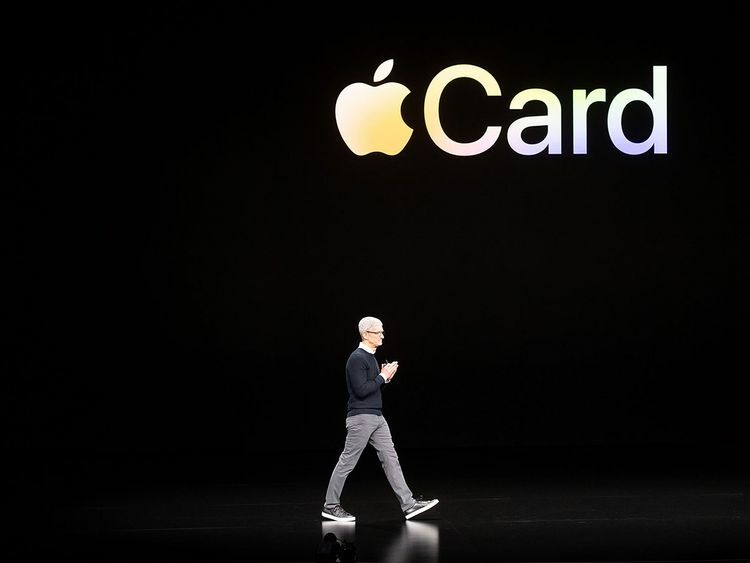 The company is offering 2 per cent cashback, paid daily, on any purchase made with the card using Apple Pay, and 3 per cent on any purchase made with Apple itself, including the App Store and Apple Music. For purchases made in stores and online that don’t take Apple Pay, of which there are a lot, the rate is lower, at 1 per cent. But those figures show how much Apple is willing to pay to make its card a success. For comparison, the best cashback card in the US, according to those who track this sort of thing, is the Citi Double Cash Card, which offers 2 per cent cashback on everything but doesn’t drop the fees that Apple has, such as overseas transactions or late payments. The company’s quoted variable APR is quite high. Not as high as some of the competition- the Citi Double Cash Card quotes 15.74 per cent to 25.74 per cent, for example — but still significantly higher than some cards, and certainly higher than most people would expect when offered a low interest rate. Perhaps Apple is hoping to make a profit in this industry from day one. One reason that the Apple Card is launching in the US is because the country’s payment infrastructure is still backwards enough that a tech company can provide impressive progress. Case in point: the shiny titanium card launched by Apple on Monday doesn’t have a contactless chip in it. Yes, most places that take contactless payments take Apple Pay, and most people will have their phone with them as often as they have their card with them. But for European banking customers looking across the Atlantic, it’s hard to feel Apple’s offering is the future. Apple wasn’t afraid of taking side swipes at its competition: Google and Facebook both got tacit criticism, over everything from privacy and security to whether or not you can play games on the tube. So it was a bit surprising to learn the company had partnered with Goldman Sachs, known for its ruthlessness, to launch its card. Chalk it up as a bellwether moment: the era of big banks being the villains of society is over. The era of big tech is here. Apple Arcade will have exclusive games that won’t even be available as normal paid apps. More than a decade after Apple launched the App Store and essentially created the mobile gaming genre, the company is finally putting real resources behind it. Apple Arcade will be a subscription service, offering exclusive access — on mobile, at least — to more than 100 games. Some will be genuine exclusives. Commissioned by Apple specifically for the Arcade, they won’t even be available on the App Store. Others will be less so: Sayonara Wild Hearts, for instance, has already been announced for the Nintendo Switch. The game will be exclusive to iOS in the mobile sector, though, so Android fans may still miss out. How much has Apple ignored games until now? Consider this: in 2010, the company launched Game Centre, an attempt to take on services such as Microsoft’s Xbox Live with its own multiplayer network. It was then largely ignored for six years, until being removed from the homescreen in 2016, preventing users from adding new friends. But Game Centre is still in iOS and remains the only way to sync high scores and achievements. That will surely change in the next version of iOS, due to be released this autumn, just before Arcade arrives. Video games have been dragged into the fight against addictive technology but to date, the focus has largely been on AAA titles such as Fifa, Fortnite and Battlefront. But the creation of Apple Arcade shows a company aware that one of its big cash cows, free-to-play games such as Clash of Clans, Candy Crush and Clash Royale, could also be swept up in the backlash. Hence the focus on tight experiences with strong narratives and award-winning design. Everything, in other words, that insulates Apple from the allegation of pushing addictive products on vulnerable people for profit. Over the past week, Apple released multiple products that would typically have taken up space on stage. Two iPads, a speed bump to the iMac and the second version of AirPods all went on sale accompanied by only a press release and tweet from Tim Cook. The release cycle was clearly timed so that they could have time on stage if needed — but instead, Apple filled the whole back half of its press conference with a rotating cast of celebrities, from Steven Spielberg to Oprah Winfrey, all sharing just a bit too much information about their forthcoming shows where just a trailer would have done. The paper’s media bureau chief reports the reason why the Wall Street Journal (subscription: $30 (Dh110 a month) is joining Apple News Plus (subscription: $10 a month) is because “the app will surface stories thought to be appealing to a general interest reader. The thinking is, consumption beyond what’s actively surfaced will be limited.” In other words, you can read the Journal through Apple News+ but it’s going to be so frustrating that you’ll probably just pay the extra cash to visit the website if you’re a big fan. Apple News Plus is a relabelled version of Texture, a magazine subscription service the company bought last year, and so that was ready to go. For everything else, from the price of Apple Arcade and Apple TV Plus to the line-up for both, we need to wait until this autumn, when the services will launch.